Business Info: David Bishop is a writer of mystery novels. 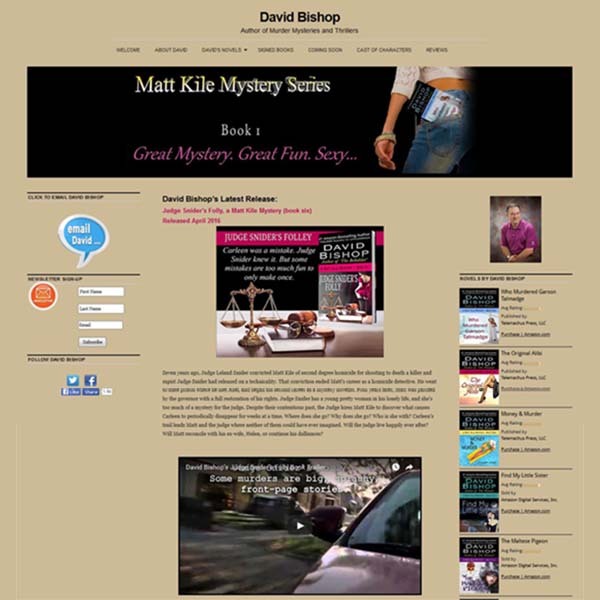 As of this latest website update, he has completed 9 mystery novels with more planned to complete soon. Project Info: The website design project included a website expansion for new books and redesign to incorporate new ‘moving’ displays of individual books and the different book series written by David Bishop. The site was built using the WordPress content management system (CMS).